You always burn and never tan. Your skin is very pale and it is sometimes mixed with freckles. You have red or blonde hair and light colored eyes. 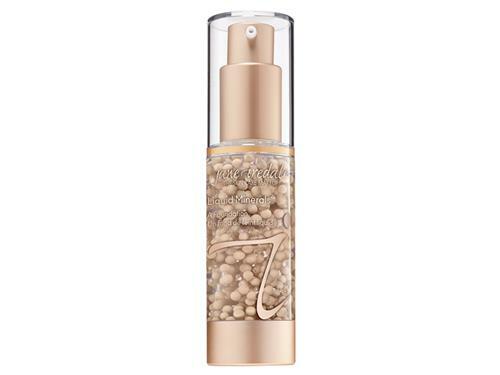 jane iredale Liquid Minerals creates healthy, beautiful skin. 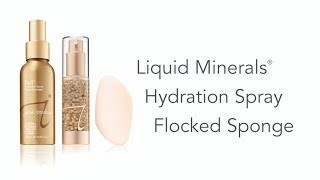 jane iredale Liquid Mineral pairs mineral makeup with advanced skin care benefits. 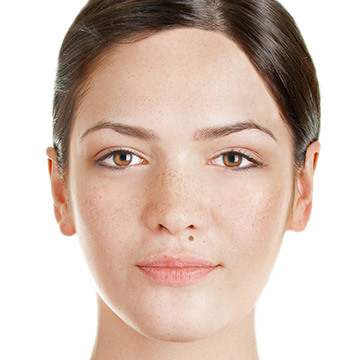 This mineral cosmetics foundation is great for skin prone to rosacea, acne or sensitivity. Its lightweight formula won’t clog your pores or irritate your skin. The sheer, liquid texture creates a smooth, dewy finish. Apply jane iredale Liquid Mineral to cover flaws, reduce the look of fine lines, diminish large pores and refine your skin’s tone and texture. With each use, this product will soothe the complexion while hiding imperfections. 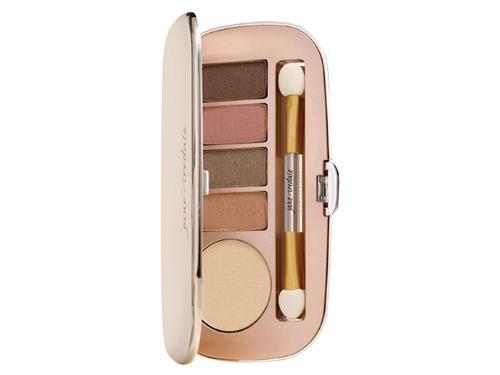 Correct and protect your skin with this jane iredale makeup. 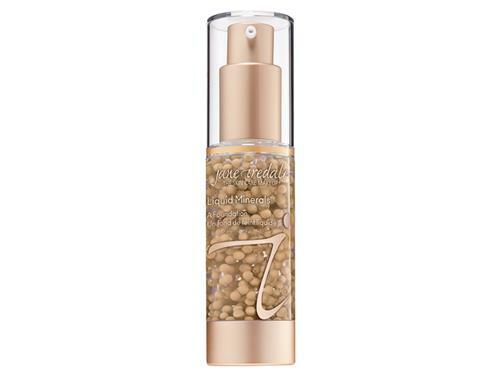 jane iredale Liquid Mineral has key ingredients to benefit your skin. Hyaluronic acid in this jane iredale makeup binds water to the skin to prevent moisture loss. Vitamin C provides antioxidant protection against environmental damage. 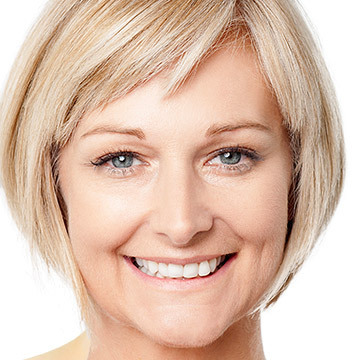 This formula also contains coenzyme Q10 to help diminish the signs of aging. The beads that are visible inside the airless pump are liposomes in a soothing formula of aloe vera gel and glycerin. This innovative technology prevents the active ingredients from breaking down thanks to its time-released delivery system. jane iredale Liquid Mineral is paraben-free, gluten-free, vegan and non-comedogenic. Tell us your thoughts about jane iredale Liquid Minerals and receive 50 rewards points! This is absolutely the best foundation ever! I have sensitive skin and this goes on smoothly, evens out my skin tones and causes no breakouts. I love it and have been using it for years. To begin, I love jane iredale products and have used them for years. However, I was expecting more coverage with Liquid Minerals than it provided. It is a very lightweight foundation. 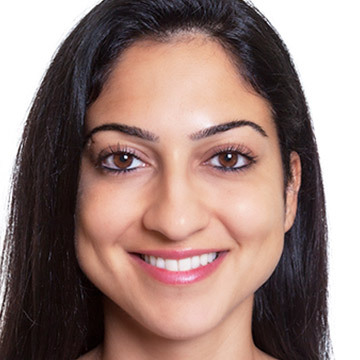 My skin was clean and toned prior to application. 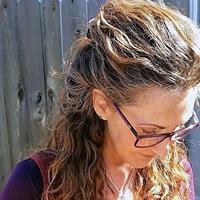 It required about three pumps of product to give me coverage, and the formulation did not apply smoothly, but appeared to have tiny lumps, almost fibrous, that I had to smooth out or remove. It felt wet, but after setting or drying I used the finishing powder and achieved good coverage. But, I was looking for a foundation that didn’t require powder since my skin is older and powder tends to crease and look dry. For years I have used another brand of tinted moisturizer as my base and I still love it, but was hoping the jane iredale would replace it since I use and love the ji concealers, blushes and powders that I use just on occasion. It did not feel good on my skin. It looked even worse. I don't understand exactly why because I read all the reviews. I would not recommend nor ever try these products again. I have been wearing this foundation for 10+ years. I have tried others but always come back to this! Makes my skin glow. Provides a light buildable coverage. Never looks heavy and feels so nice on my face. I use this in Radiant and have light skin with neutral undertone. Best application I have found is rubbing between fingers or on top of hand before applying to release pigment beads completely. I use my fingers to apply for the coverage I like best. No irritation and great hydration. Holy Grail product for my dry skin. 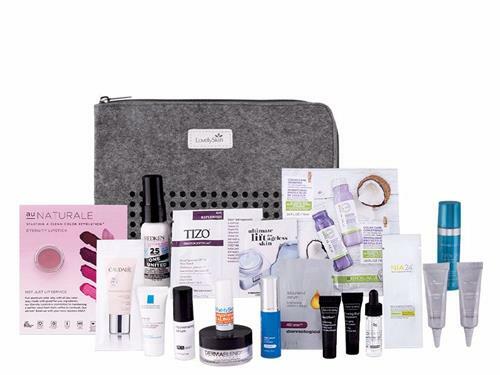 I was looking to switch brands to something for my rosacea, and Iredale was recommended by an aesthetician not affiliated with LovelySkin. 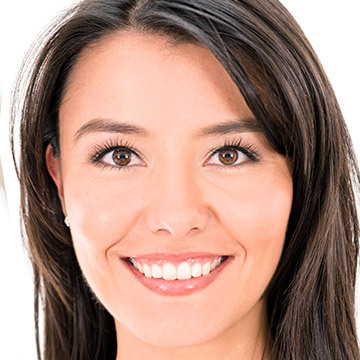 I have had the product a week and haven't had any issues with sensitivity or flare-ups. However, the coverage is too sheer for me. I don't like caked on makeup, but this doesn't cover even the tiniest of redness from blemishes. Seems too watery, and takes awhile to learn the application, so you don't have beads on your face. I've watched the video and 2 pumps doesn't blend for me like it shows. I got it on sale, and wouldn't pay full price for it again. Bottle won't last as long as others do. I use this everyday. Very soothing and calming. Very lightweight, can’t even tell you’re wearing it. Coverage is not heavy and my cheeks are fairly red, but I love it for everyday. Will continue to use it! I had to return this because there was no coverage, just too sheer for me. I have used this product for several years, perfect coverage! 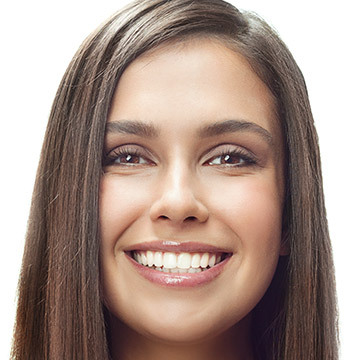 It feels great on the skin and not as messy as the loose powder. I really like this makeup! I normally wear the "Amber" shade in the loose and pressed powder, so I ordered the same shade with this product, and it's perfect. I love that it's not too heavy, and it goes on smooth. Love this product...so sheer, and adds a glow to the skin. This foundation is thick coming out of the bottle but leaves a nice dewy look (light coverage). I like that is is also a serum that is improving my skin at the same time. Just wish it had a little better coverage. I also feel like I'm going through the bottle quickly. Skin is bright and dewy. Very good skin protection. Looks like I have highlighter on, 2 pumps with "Smooth Affair" applied first to ensure liquid minerals glide on Application will last all day. Lightweight with easy application and great coverage that allows for a natural look. This is a beautiful sheer foundation. It gives my skin a great glow but not much coverage. Even if I layer it, the coverage is minimal. Great for weekends when I want a no makeup look but some glow. 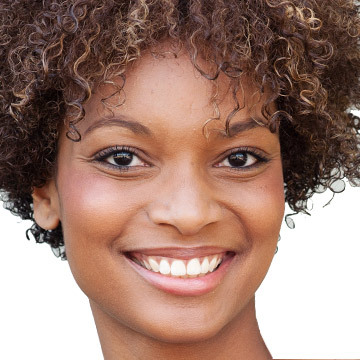 The coverage is light enough to let your skin show but also evens out coloring. I only wear this make-up. I started using Jane Iredale make-up upon the recommendation of my Dermatologist. I first used the loose powder for coverage. This was over 15 years ago and I have since switched to the liquid minerals, for more coverage. I love both products and though I use the liquid minerals 90% of the time, I do like that loose powder for a more relaxed casual setting when I am not working or at meetings. 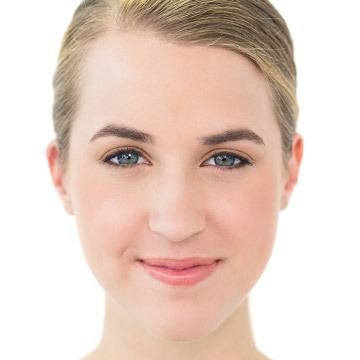 The makeup helps to calm down my often stressed skin and I never have a flare-up of either a pimple or of rosacea. I recommend this makeup to anyone that has sensitive skin or wants that "natural" look.